Welcome to my professional blog. I am a Florida Licensed Psychologist and trained scientist-practitioner. In 2008, I received my Ph.D. in clinical psychology. A major component of my professional identity is staying informed about recent developments in the field so that I may provide my clients with scientifically sound information and evidence-based treatment. There is a plethora of information on the internet about Eating Disorders, Depression, Anxiety, Psychotherapy. Unfortunately, much of this information is unsubstantiated and some of it is patently false. It is my hope that by sharing my thoughts and opinions on psychological issues, with scientific research and clinical experience sprinkled in for good measure, I can help to bridge the gap between research and treatment. Since opening my private practice in 2009, I have been privileged to work with over 300 individuals and families, providing consultation, evaluations, and treatment for a variety of mental health conditions. I believe in being transparent and straightforward about the services I provide and why I provide them. Individuals who are seeking mental health services for themselves or for their children have a right to know what treatment with a particular provider will actually be like, how long it will last, what outcomes they can expect, and what factors contribute to a more or less favorable outcome. To this end, I collect detailed information on my patients’ treatment outcomes and publish the results on my blog. Here is an updated summary of treatment outcomes for the disorders I most commonly treat. For more detailed information on the types of treatment provided and treatment outcomes in my practice for each of these disorders, click on the category heading. 50% of patients who entered treatment with me completed a full course of treatment with me. 26% dropped out of treatment prematurely. 22% were referred to other providers who could better meet their needs. 3% moved to other geographic locations during treatment. 97% of patients who completed treatment achieved full remission. The remaining 3% achieved physical remission. The majority of patients who completed treatment did so in a time frame of somewhere between 7 months and 2 years. A full course of treatment required, on average, 27 sessions over the course of 17 months. Patients with co-morbid conditions, such as anxiety disorders or depression, required more sessions, on average, than those without co-morbid conditions. All patients who completed treatment achieved 100% full weight restoration, as indicated by a return to their pre-AN percentile patterns of growth for height and weight. Average time to achieve weight restoration was 3.6 months. Patients who recovered with individual therapy took longer, on average, to achieve weight restoration than those who recovered through Family-Based Treatment (FBT). Patients receiving FBT were almost twice as likely to recover as those receiving individual therapy. Patients receiving individual therapy were almost twice as likely as those receiving FBT to drop out of treatment prematurely. Individuals with restrictive Anorexia Nervosa were twice as likely to achieve full remission as those with binge-purge Anorexia Nervosa. For treatment drop-outs, there was a significant correlation between length of time spent in treatment and progress made. All treatment dropouts who were in treatment with me for at least 2 months had made significant progress towards treatment goals at the time of drop-out. Patients who dropped out of treatment after one month or less had not made any progress at the time of drop-out. Over half of patients with bulimia nervosa (54%) discontinued treatment prematurely after making significant progress towards treatment goals, but prior to achieving full remission. 15% percent of patients were referred to other treatment providers or types of treatment that could better meet their needs, after making little or no progress in treatment with me. 8% of patients moved to other geographic locations and were thus referred to providers near their new homes. 23% of patients completed a full course of treatment with me. Of those who completed a full course of treatment, 100% achieved full remission from their eating disorder. A full course of treatment required, on average, 13 sessions over the course of 5 months. Patients who took Prozac during treatment were more likely to achieve full remission than those who did not take medication. Patients with a prior history of Anorexia Nervosa were less likely to recover from Bulimia than those who did not have a prior history of Anorexia Nervosa. The presence of a comorbid diagnosis was not related to likelihood of achieving full remission from Bulimia. Level of family involvement in treatment was not related to the likelihood of achieving full remission. This finding is in stark contrast to my outcomes for Anorexia Nervosa, in which family involvement was strongly correlated with positive treatment outcome. Only 18% of patients who presented with a primary diagnosis of a mood disorder completed a full course of treatment with me. 50% discontinued treatment prematurely for unknown reasons, 15% moved to other geographic locations, and 18% were referred to other providers who could better meet their needs. Of those who completed a full course of treatment with me, 83% achieved full remission from their mood disorder and the remaining 17% made significant progress towards their treatment goals. Length of time to complete treatment varied dramatically (from 1 month to 3 years) based on individual needs, symptom severity, and progress. On average, a full course of treatment required 23 sessions over the course of 16 months. High levels of family involvement predicted treatment completion and full recovery for adolescent patients but not for adult patients. Patients who were self-referred were more likely to complete treatment and achieve full remission than those who were referred by another professional. Predictors of less favorable treatment outcomes included hospitalization during treatment and taking psychotropic medication during treatment, most likely because these variables are markers for more severe forms of mental illness. The following variables did NOT predict treatment outcome: age at intake, gender, ethnicity, duration of illness, diagnosis (type of mood disorder), presence of co-morbid diagnoses, rate paid for services, type of treatment received with me, or history of hospitalization prior to starting treatment. Half of patients who entered treatment for anxiety disorders completed a full course of treatment with me. Of those who completed a full course of treatment, 88% achieved full recovery and the remaining 12% made significant progress towards their treatment goals. Length of time required to complete a full course of treatment varied dramatically from 1 month to 19 months, with a median treatment duration of 3 months. Of those who discontinued treatment prematurely, 63% had made significant progress towards their treatment goals as of their final session with me, and the remaining 37% had made some progress. Predictors of positive treatment outcome included high levels of family involvement in treatment, younger age at intake, shorter duration of illness, being self-referred to my practice, paying full rate for services, and having good attendance at therapy sessions. Predictors of less favorable treatment outcome included presence of a comorbid diagnosis, taking psychotropic medication during treatment with me, and being referred to my practice by a psychiatrist. Across diagnostic categories, less than half of patients who enter treatment with me complete a full course of treatment with me. I tend to set the bar high for my patients, striving to engage them and help them continue to progress until they reach full remission. Many individuals and families decide to discontinue treatment after making significant progress towards treatment goals, but prior to achieving full remission. I hope that those who discontinue treatment after making significant progress, but prior to achieving full remission, continue to move forward and eventually achieve full remission with the support of their families and/or with other professional supports. My primary goal in working with families is to empower the parents to help their child. My goal is to become obsolete for that particular family. For this reason, when a family reaches a point where the parents are confident that “We’ve got it from here!” and my involvement is no longer necessary, then I have done my job well. Therefore, dropping out of treatment prematurely, after making significant progress in treatment, may not necessarily be a negative thing. Across all diagnostic categories, patients who complete a full course of treatment with me do very well in recovery. The vast majority achieve full remission from their illness. The following is an analysis of all patients who presented for treatment with a primary diagnosis of Bulimia Nervosa between the start of my private practice in 2009 and spring 2017. Given that this is an analysis of end of treatment outcomes, patients who were currently in treatment with me as of spring 2017 or later were not included in this sample. Patients and families whom I saw only for evaluations or consultations rather than treatment were not included in this sample. This sample includes 13 individuals, all female, who were between the ages of 14 -27 at the time of their initial evaluation (mean age = 19). Duration of eating disorder prior to starting treatment with me ranged from 1 month to 11 years, with a mean duration of 3.5 years. Nearly half of the sample (46%) had a prior history of anorexia nervosa prior to beginning treatment for bulimia with me. More than ¾ of the sample (77%) had a secondary diagnosis, with the most common being Major Depressive Disorder, followed by ADHD and Anxiety Disorder Not Elsewhere Classified. Number of sessions attended ranged from 2 to 35, with a mean of 15 sessions. Duration of treatment ranged from 1 month to 28 months, with a mean duration of 8.8 months. Over half of the sample (54%) took psychotropic medication during their treatment. All patients under the age of 18 had moderate or high levels of family involvement in their treatment. For patients over the age of 18, the degree of family involvement was determined by the patient’s living situation, family circumstances, and preferences. Among adults, 57% had no family involvement and the remaining 43% had some degree of family involvement, ranging from low (participation in at least one session and/or some phone contact with me outside of sessions) to high (participation in most or all sessions). Sixty percent of patients under the age of 18 received Family-Based Treatment for Bulimia Nervosa (FBT-BN). The remaining 40% of patients under 18 received Cognitive-Behavioral Therapy (CBT) with a moderate to high level of family involvement, meaning that a parent or guardian participated in many or most of the sessions. Patients over age 18 received CBT, with an integration of Dialectical Behavior Therapy (DBT) skills for mindfulness, distress tolerance, emotion regulation, and interpersonal effectiveness. Approximately 62% of the sample paid full rate for services. The remaining 38% received a reduced rate based on financial need. Twenty-three percent of patients completed a full course of treatment with me. Of those who completed a full course of treatment, 100% achieved full remission. A full course of treatment resulting in full remission required an average of 13 sessions over the course of 5 months. The rate of attrition (treatment dropout) in this sample was very high. Over half of patients in this sample (54%) discontinued treatment prematurely after making significant progress, but prior to achieving full remission. Fifteen percent of patients were referred to other treatment providers or types of treatment that could better meet their needs, after making little or no progress in treatment with me. Eight percent of patients moved to other geographic locations and were thus referred to providers near their new homes. For complete definitions of terms such as “full remission” and “significant progress,” see this blog post from 2013. Completion of a full course of treatment was the strongest predictor of positive outcome. 100% of individuals who completed a full course of treatment achieved full remission. Shorter duration of illness prior to beginning treatment with me was associated with greater likelihood of full remission. Patients who achieved full remission had been suffering from an eating disorder for an average of 3.3 years, whereas those who did not achieve full remission had been suffering for an average of 5.3 years. A prior history of Anorexia Nervosa was associated with lower likelihood of achieving full remission from Bulimia Nervosa. Presence of a comorbid diagnosis was not related to likelihood of remission. There was no significant difference in treatment completion or remission rates between patients who paid full rate for services vs. those who paid a reduced rate based on financial need. Degree of family involvement was not related to likelihood of treatment completion or full remission. Individuals were able to achieve full remission with varying levels of family involvement, from no involvement to involvement in every session. Likewise, individuals dropped out of treatment at similar rates regardless of degree of family involvement. In contrast, among my patients with Anorexia Nervosa, family involvement was strongly related to likelihood of treatment completion and full remission. Today is the second annual World Eating Disorders Action Day, and I am proud to be a part of this international movement. World Eating Disorders Action Day (#WeDoAct) is a grassroots movement designed for and by people affected by eating disorders, their families, and the healthcare professionals who support them. Uniting activists across the globe, the aim is to expand global awareness of eating disorders as genetically linked, treatable illnesses which affect both males and females across the weight spectrum, as well as people of all ages, ethnic backgrounds, and nationalities. New Plates: A Podcast Series on eating disorders by Laura Collins Lyster-Mensh. I was thrilled to be interviewed for the first two episodes of New Plates, and my lovely associate, Dr. Tarah Martos, was featured in Episode 10. Tabitha Farar’s blog and podcast series on adult eating disorder recovery. I was honored to be a interviewed for her podcasts on How to Find an Eating Disorders Therapist and Eating Disorders and Starting College. Going Sane: a fascinating and sobering documentary about the failure of the mainstream mental healthcare industry and the importance of utilizing family-centered, evidence-based practice instead. Parents-to-Parents: A website by and for parents of children with Anorexia Nervosa. I have seen tremendous growth within this field over the past decade, in large part due to the work of tireless parent advocates and a handful of progressive clinicians. But still, we’ve got a long way to go. Join me in spreading the truth about eating disorders and recovery. Today – June 2, 2016 – is the first annual World Eating Disorders Action Day. In honor of this day, my esteemed colleague, Dr. Tarah Martos, and I hosted the first annual South Florida Parent Summit on Eating Disorders. The summit provided a unique opportunity for parents of eating disorder sufferers to unite, empower one another, and learn from each other. We spoke with the parents about envisioning recovery, relapse prevention, and a promising new treatment from Colombia University which involves habit reversal. The lovely parents who attended the summit, despite having sons and daughters of different ages and with different presentations of illness, felt an instant connection with one another, and a freedom in discussing their experiences with other parents who really, truly get it. I am proud that World Eating Disorders Action Day exists, and I am honored to be a part of it. The public health messages surrounding this day have been devoted to increasing awareness that eating disorders are serious but treatable illnesses, caused by a complex interaction of genes and environment, which affect people of all ages, genders, socioeconomic statuses, and ethnic backgrounds. These are messages I stand behind as a psychologist, as a writer, as an activist, and as a mother of a little girl whom I hope can come of age in a world where the content of these public service announcements is common knowledge. Compulsive exercise is often a symptom of eating disorders. It is common for a child who is developing an eating disorder to take a sudden interest in running and other vigorous forms of exercise. Given that exercise is a symptom which is directly related to the energy imbalance that triggers and maintains a restrictive eating disorder, it is important for clinicians and caregivers to monitor and manage patients’ exercise during treatment and recovery. When a patient has an active eating disorder, it is generally ineffective to use exercise or sports as an “incentive” to get him to eat more or gain weight. Even the patient who absolutely loves soccer, and says he would do anything to keep playing, probably won’t be able to eat enough to make that happen. The malnourished anorexic brain is just not capable of overriding symptoms, no matter how alluring the reward may be. Explaining the dangers of exercise to the eating disordered patient is important but rarely sufficient to curb the compulsion. Patients with exercise compulsion need an authoritative source to tell them directly, in no uncertain terms, that all exercise must be stopped until the above criteria are met. In my practice, the hiatus from exercise typically lasts for several months, but this varies widely based upon the patient’s severity of illness and response to treatment. Abstaining from all physical activity means stopping sports, dance classes, martial arts, and any other extracurricular activity that involves movement. It also means no PE at school, no bike riding, no home workouts, no yoga, and no long-distance walking. Parents can do a number of things to help prevent their ill child from exercising. They can obtain a doctor’s note to except him from PE class, they can call the coach to inform him that the child will not be able to play for the rest of the season, they can give him a break from his usual chore of walking the dog. When the exercise compulsion is strong, more serious measures must be taken. Some parents may need to get rid of home exercise equipment, terminate their child’s gym membership, or hide her running shoes. Parents must be extremely vigilant in protecting their child from secretly exercising. Any time spent behind closed doors presents an opportunity for the patient to succumb to the exercise compulsion. It is not unusual for anorexic patients to exercise in the middle of the night, to sneak out of the house to go running, or to do calisthenics on the bathroom floor. Sometimes it is necessary for parents to sleep in the same room with their child and provide round-the-clock supervision for weeks or months at a time in order to break the exercise compulsion. Full nutrition and weight restoration often help tremendously in lessening the compulsion to exercise. Many recovering kids will lose interest in exercise once the compulsion has faded. These are often the kids who first began exercising in the context of their eating disorder, but never really enjoyed their activity. Once recovered, these kids will often return to lives that are not particularly active, and decide to pursue other interests instead, such as music, art, or a very busy social life. For some children, exercise has been a part of their lives since they were very young, but took on a new intensity when the eating disorder arrived. For example, a 12-year-old girl who loves to dance and has taken ballet since preschool may suddenly start taking eight dance classes a week instead of her usual four. As another example, a teenage basketball player may begin rising at 4:00 AM to go jogging in addition to afternoon practices with his team. These kids suffer tremendously as the activities they love become tools for their eating disorder to use against them. In my experience, these patients are often able to return to the sports and activities they previously enjoyed without compromising their recovery, so long as they are physically and mentally ready to do so, and so long as their activity is monitored and limited. The young dancer described above may return to her studio, once weight-restored and back in school, for three or four classes per week. The recovering teenage basketball player may be permitted to practice with his team, but would not be allowed to exercise outside of scheduled practices. While it’s rarely effective to use sports as an incentive for a sick patient to get well, sports can be a great incentive for a recovered patient to stay well. Many patients, once physically and psychologically recovered, feel motivated to do whatever it takes to maintain their exciting new life. I have found that exercise contracts work well for these patients. For example, my former patient, whom I will call Andy, played on a competitive year-round traveling soccer team. When Andy developed Anorexia Nervosa at age 14, his parents and I agreed that he would need to take five months off from soccer to restore his weight and focus on his recovery. Once he was feeling better, Andy became excited to rejoin his team. Andy’s family and I supported his return to soccer so long as it did not interfere with his recovery. We developed a written contract which stated that Andy may participate in club soccer so long as he maintained his weight, ate all of his meals and snacks, drank 8 glasses of water per day, abstained from exercise outside of team practices, and attended monthly therapy sessions. We also agreed that he would drink a smoothie after each soccer practice and that one of his parents would travel with him to all tournaments to ensure that he ate enough to fuel his activity. Certain solo long-distance endurance activities, such as cross country running and competitive swimming, pose particular risks for patients predisposed to eating disorders. This is in part due to their very high energy requirements, in part due to their solitary nature, and in part due to the extreme rigor of the activity which demands a high level of dedication. Not only do these factors attract young people who are competitive, driven, and dedicated (read: predisposed to eating disorders); they also create the perfect formula for triggering and perpetuating an eating disorder. If a recovered person who had been a runner or a swimmer prior to getting sick expresses a desire to return to athletics, it may be preferable for him to choose a different sport. Team sports such as volleyball or basketball may be more conducive to sustained remission. Activities with an artistic or aesthetic element, such as gymnastics, dance, figure skating, and diving, can pose a risk for those in recovery from eating disorders, particularly if body dissatisfaction and drive for thinness were major symptoms of the patient’s illness. If a former dancer/gymnast/athlete wishes to return to these activities, certain factors must be considered. In addition to the criteria for resuming exercise that I listed above, these young people should attain a certain level of body acceptance prior to returning to their activity. They need to feel at least somewhat comfortable in a leotard, and they must be strong enough to challenge or ignore any negative body thoughts that may arise. If a young person experiences a noticeable increase in eating disordered thoughts or behaviors upon returning to her activity, this is an indication that she likely needs more time off to recover before she can safely return. It is important for dancers and athletes to return to a nurturing environment that does not encourage food restriction, weight loss, or winning at all costs. It is helpful for parents to speak with coaches and trainers to alert them of their child’s vulnerability and ensure that the atmosphere is conducive to health and well-being. There are dance teachers and coaches who encourage full nutrition, healthy body image, self-care, and a balanced approach to life. These adults can be positive forces in helping a young dancer or athlete sustain remission. It is of utmost importance that family members and treatment professionals convey, through their words and their actions, that the patient’s physical and mental health are the number one priority. Participation in activities that jeopardize health or fuel emotional distress should be avoided. Participation in activities that bring joy and enhance well-being should be encouraged. A randomized controlled trial recently published in the American Journal of Psychiatry found that Enhanced Cognitive Behavioral Therapy (CBT-E) was far more effective than psychoanalytic therapy in the treatment of Bulimia Nervosa (BN). In this study, 70 adults with BN were randomly assigned to either the CBT-E group or the psychoanalytic therapy group. Those in the CBT-E group received 20 sessions over the course of 5 months, whereas those in the psychoanalytic therapy group received weekly sessions for 2 years. CBT-E for bulimia nervosa directly targets bulimic symptoms of dietary restriction, binge eating, and purging by modifying self-defeating behaviors, identifying and challenging distorted thoughts and beliefs about food, body shape, and weight, and learning skills to regulate moods and deal with setbacks. For example, patients learn to moderate their food intake by consuming regular, satisfying meals and snacks throughout the day rather than fasting, which often leads to nighttime binges. In contrast, psychoanalytic therapy helps patients work through emotions and resolve inner conflicts which are believed to be at the root of their eating disorder. After five months of treatment, 42% of patients receiving CBT-E had stopped bingeing and purging, compared to only 6% of patients in the psychoanalytic therapy group. After two years, 44% of patients in the CBT-E group had remained abstinent from bingeing and purging, compared to 15% of patients in the psychoanalytic group. It is important to note that the 2-year assessment represents a 19-month post-treatment follow-up for patients in the CBT-E group, but an end-of-treatment assessment for the psychoanalytic therapy group. Thus, patients in the CBT-E group had maintained their remission 19 months after treatment ended. 1.) Treatments which directly target bulimic symptoms are likely to be much more effective than treatments that deal with underlying emotions and psychic conflicts. 2.) Bulimic patients who receive CBT-E experience symptom relief much more quickly than those who receive psychoanalytic therapy. 3.) CBT-E is more efficient and cost-effective. If a psychologist charges $150 per hour, twenty sessions of CBT-E over the course of 5 months would cost a total of $3000. Weekly psychoanalytic sessions for two years would cost a total of $15,600. 6.) CBT-E should be a front-line treatment for bulimia nervosa because, statistically, patients are much more likely to benefit from it than from other treatment approaches. Bulimia nervosa wreaks havoc on the brain as well as the rest of the body. Insufficient or erratic nutrition caused by restrictive dieting, fasting, bingeing, laxative abuse, purging, and dehydration have a direct and immediate impact on brain function. I suspect that a primary reason for the superiority of CBT-E is that it targets the symptoms of dieting, bingeing, and purging immediately, thereby helping patients achieve medical stability and brain healing. When a person is receiving consistent balanced nutrition and keeping it down, he or she is better able to process emotions, refrain from impulsive behaviors, and do the hard work that is necessary for full recovery. Perhaps patients in the psychoanalytic therapy group did not have the tools necessary to recover. It is one thing to gain insight into one’s emotions and beliefs; it is another thing entirely to halt a destructive and addictive cycle of restricting, bingeing, and purging. The authors of this study conclude that it “provides one of the clearest examples of the superiority of one well-implemented psychological treatment over another.” However, CBT-E is not a magic bullet: more than half of the patients who received CBT-E did not recover. Therefore, we need to improve existing treatments for BN and develop new, more effective treatments for this devastating illness. I read the abstract of a recently published journal article which illustrates one of the major problems in the field of mental health treatment in general, and eating disorder treatment in particular. The article, authored by Jim Harris and Ashton Steele and published in the latest issue of Eating Disorders: The Journal of Treatment and Prevention is provocatively titled Have We Lost Our Minds? The Siren Song of Reductionism in Eating Disorder Research and Theory. The authors state that, over the past decade, “the focus of eating disorder research has shifted from the mind to the brain.” I disagree with this assertion on two levels. First, the statement implies that the mind and the brain are separate entities. They are not. The “mind” is simply a range of conscious functions which are carried out by the brain: for example, thoughts, beliefs, emotions, intentions, motivations, and behaviors. These mental functions originate in the brain, are executed in the brain, and are interpreted by the brain. Indeed, recent developments in genetics and neuroimaging techniques have allowed scientists to study the structure, function, and circuitry of the brain in far greater detail than was possible before. Researchers have utilized this new technology to generate and test novel hypothesis about the biological underpinnings of eating disorders. The results of these studies have indicated that eating disorders are genetically inherited, biologically-based brain disorders, similar to bipolar disorder and schizophrenia. However, while research in the area of genetics and neuroimaging has proliferated in the eating disorders field, there has been no shortage of research on psychosocial factors or non-medical treatments for eating disorders, such as FBT and DBT. Contrary to Harris and Steele’s assertion, we have not “lost our minds.” We’ve simply expanded our minds and deepened our realm of investigation to study the biological underpinnings of mental functions as new technology has allowed us to do so. Harris and Steele assert that the brain disorder model of eating disorders necessitates that treatment targets the underlying neurobiological abnormality; namely, medication. The authors then conclude that the brain disorder model of eating disorders is misguided because no pharmacological intervention has been shown to significantly benefit patients with anorexia nervosa. This simplistic assumption and its corollary reflect a lack of basic understanding of the relationship between the brain and the symptoms of psychiatric illness. The authors fail to recognize the fact that certain non-medical interventions HAVE been consistently shown to benefit patients with biologically-based brain illnesses. For example, it is widely accepted amongst medical and psychological professionals, as well as the general public, that autism is a biologically-based brain illness. There are no medications which have shown to consistently benefit children with autism. The gold-standard of treatment for autism is early intervention with applied behavior analysis (ABA), which is a form of behavior therapy focused on skills building, parent training, and modifying environmental contingencies. Most children with autism do extremely well with this type of treatment, and many of them can be mainstreamed in classrooms with typically developing children. Sound familiar? It should, because that is precisely what is happening in the world of eating disorder treatment. The treatment approaches which have shown the most promise in the world of eating disorders are psychological and behavioral treatments such as Family-Based Treatment (FBT) for anorexia nervosa and Cognitive-Behavioral Therapy (CBT) and Dialectical Behavior Therapy (DBT) for bulimia nervosa. There are a number of misconceptions about these types of treatments. For example, many people believe that FBT is merely re-feeding. This is not so. FBT is a psychological and behavioral treatment – a form of psychotherapy – and parental control of re-feeding is but one component of the first phase of this three-phase treatment model. As another example, some people believe that CBT and DBT are merely “learning skills.” Again, this is a misconception. CBT and DBT are forms of psychotherapy which involve a relationship with a therapist who instills hope, provides support and feedback and accountability, promotes awareness of thoughts and feelings, and teaches adaptive skills for managing life’s challenges. Contrary to popular belief, psychotherapy does not consist of lying on a couch and talking about your mother. That myth stems from psychoanalysis, an antiquated form of treatment commonly practiced in the mid-20th century which has no evidence base. Modern evidence-based psychotherapy is entirely different: it is active, directive, and believe it or not, effective. I get a bit irritated when uninformed people make sweeping generalizations on either side of the fence, such as “psychotherapy doesn’t work for eating disorders,” or, on the flip side, “psychotherapy is the best way to treat eating disorders.” The truth is more specific: evidence-based psychotherapies are effective in the treatment of eating disorders. I wish that Harris and Steele, and all professionals involved researching or treating eating disorders, could grasp these points. If the general population had this basic understanding of eating disorders, then patients and their families would be viewed with compassion and understanding rather than judgment or smug clichés (e.g. “she needs to learn to love herself;” “it’s all about control”). The past decade represents a monumental shift in the way expert clinicians view eating disorders. In fact, it will be 10 years ago this fall that I saw my very first eating disorder patient. As a bright-eyed graduate student hungry for hands-on clinical experience, I chose a training rotation at an adolescent eating disorders clinic. On my first day at the clinic, not much older or wiser than the teenagers I was about to start treating, I was introduced to “the Maudsley Approach,” a promising new treatment method from the UK. And the rest, as they say, was history. In my work as a clinical psychologist, I am faced daily with stories of tragedy, trauma, illness, conflict, and loss. Each therapy session is a window into private suffering. “Isn’t it hard?” people ask me. “Isn’t it awful to listen to people’s problems all day long? Doesn’t it make you depressed?” My answers to these questions are: “Yes,” “No,” and “Quite the opposite.” It is painful to witness people suffering, but it is endlessly rewarding to help them triumph. Rather than letting other people’s pain drag me down, I feel honored that they have shared it with me and privileged that I am in a position to help them cope with it. I am intimately aware of the obstacles people face – and overcome – every single day. Being a clinical psychologist provides me with daily opportunities to participate in stories of healing, strength, opportunity, resolution, and empowerment. If you get out of bed next Thursday, give thanks. There are those with depression who cannot do so without herculean effort. If you are preparing to host relatives in your home, give thanks. There are those with crippling social anxiety for whom a house full of guests would be unthinkable. If you are planning to travel across several time zones to spend the holiday with relatives, give thanks. There are those with mood disorders for whom jet lag can trigger an episode of mania or depression. If you are looking forward to Thanksgiving dinner, give thanks. There are those with anorexia nervosa for whom a holiday feast is an object of fear, loathing, and guilt. If you set the table next Thursday in under five minutes, give thanks. There are those with OCD who cannot relax unless every napkin, fork, and knife is lined up precisely. If you sit on the couch after dinner to watch football with your uncles and cousins, give thanks. There are those with bulimia nervosa who will be pacing around the house, waiting for an opportunity to purge unnoticed. If you settle into bed with a good book later that evening, give thanks. There are those who will be cutting their forearms with a razor to numb themselves from the intolerable emotions triggered by the day’s events. If you go to bed Thanksgiving night satiated and content, give thanks. There are those whose restless worry keeps them up until sunrise. If you have never even considered feeling grateful for these ordinary things, give thanks. Our mental health, and that of our family, should not be taken for granted. There’s a lot of exciting research being conducted on patients with eating disorders. The results of these studies may help us gain a better understanding of these illnesses and, ultimately, develop more effective treatments. My blog posts from June through November 2013 have been devoted to describing my patients’ treatment outcomes. I’ve been advised that my recent posts have been too data-heavy and too detailed, but hey – that’s how I roll. I like to be thorough, meticulous, and transparent. Prospective patients and their families deserve to have access to this information. But for those who prefer brevity, I’ve summarized my treatment outcomes below. Click on the headings in bold for details. Fifty-seven percent of my former patients with Anorexia Nervosa (AN) completed treatment. Of the “treatment completers,” 94% reached full remission and the remaining 6% reached physical remission. Patients required, on average, 28 sessions over the course of 17 months to complete treatment. Forty-three percent of my former patients with AN did not complete treatment with me. Of the “treatment non-completers,” 23% were referred to other treatment settings which could better meet their needs; 15% moved to other geographic locations during treatment and thus were referred for treatment near their new homes; and the remaining 62% dropped out of treatment prematurely. Thirty-three percent of my former patients with Bulimia Nervosa (BN) and Eating Disorder Not Otherwise Specified (EDNOS) completed treatment. One-hundred percent of those who completed treatment reached full remission. On average, patients took 15 sessions over the course of 10 months to complete treatment. Amongst patients with BN, 44% made significant progress prior to discontinuing treatment prematurely. For patients with EDNOS, 17% made significant progress prior to discontinuing treatment prematurely. Twenty-nine percent of patients my former patients with primary diagnoses of mood disorders completed treatment. Of the patients who completed treatment, 83% achieved full remission and the remaining 17% made significant progress. On average, patients took approximately 23 sessions over the course of 11 months to complete treatment. Thirty-eight percent of mood disorder patients quit treatment prematurely, 24% were referred to other treatment providers who could better meet their needs, and 9% moved to other geographic locations during their treatment and were referred for treatment near their new homes. All of my former patients with primary diagnoses of anxiety disorders who attended more than two sessions experienced substantial improvement in anxiety symptoms as well as significant improvement in functioning, even if they did not complete a full course of treatment. Patients with anxiety disorders attended an average of 10 sessions over the course of 6 months. Amongst those who completed a full course of treatment, 75% achieved full remission and the remaining 25% made significant progress. Be the first to know! Sign up to receive Dr. Sarah Ravin's blog and news instantly via email. 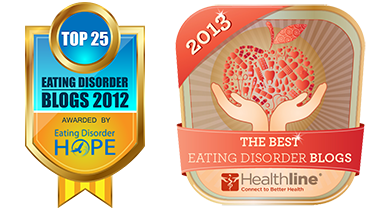 Honored as a top resource for eating disorder treatment, recovery, & awareness. 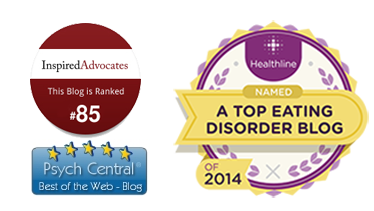 Sarah Katherine Ravin's Practice is ranked in the top Coral Gables, FL Psychology practices. Problems with the website? Contact Aliante Web Design — a Las Vegas SEO Web Design firm.